It is the main center in which the Award was established and named after. It is dedicated to awards, their various categories, specializations and committees. 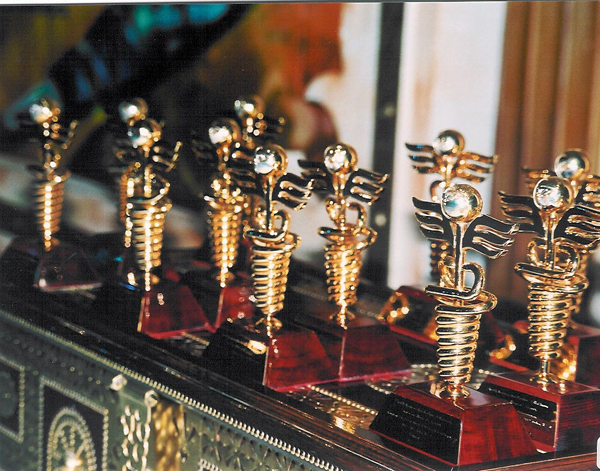 Awards are given every two years in all international, Arabic and local categories for those who perform unique work in research and inventions in different domains of medical services at the local, Arab and international levels. It is one of the main committees reporting to the General Secretariat, being the higher committee supervising the awards. It comprises from 7 to 9 members selected every four years according to the Award’s Articles of Association. The committee is entrusted with choosing the themes of awards for every edition, dates of nomination submissions and evaluation thereof, selection of local and international jurists and selection of subcommittee members according to the theme of each edition of the Award. See The Award Scientific Committee. 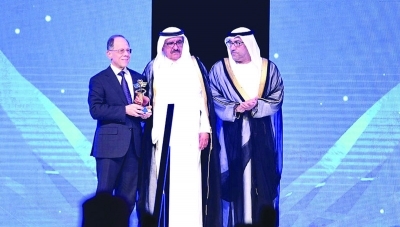 The 10th Dubai International Medical Science Conference, organized by the Sheikh Hamdan Bin Rashid Al Maktoum Award for Medical Sciences, concluded its events yesterday. 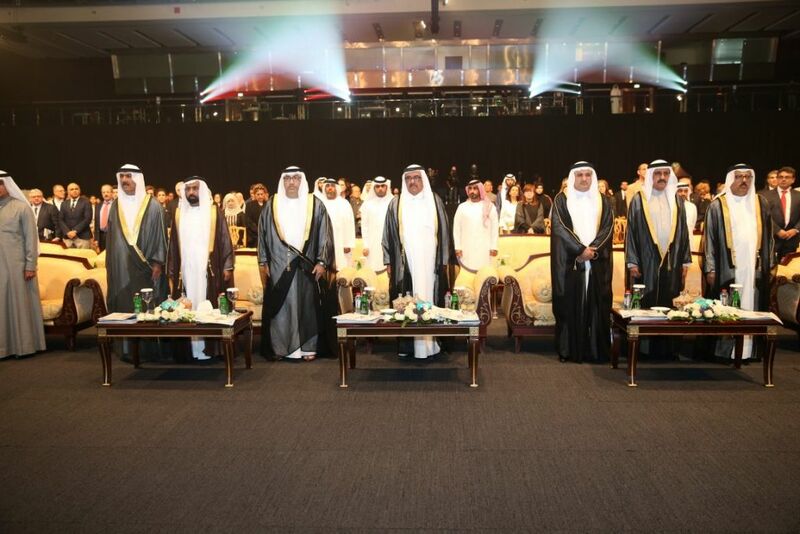 The conference was held on two days at Roda Al Bustan hotel in Dubai. 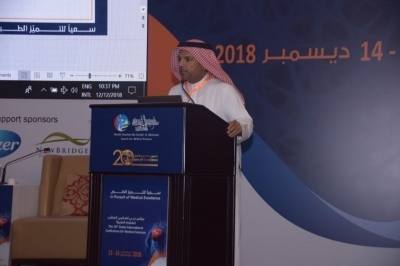 The 10th Dubai international conference for Medical Sciences kicked off yesterday with 11 workshops that discussed musculoskeletal diseases, focusing on joint diseases, orthopedic surgery and orthopedic mechanics at Roda Al Bustan hotel in Dubai, in conjunction with the award ceremony for honoring the winners of its 10th term. 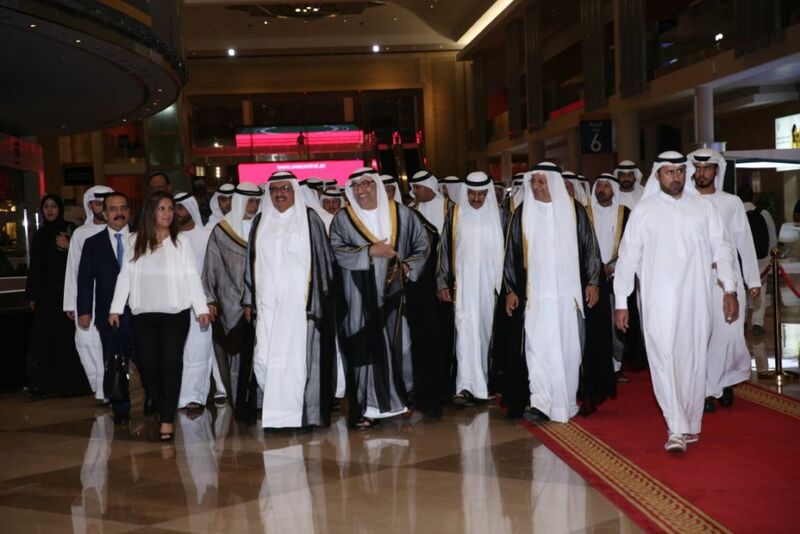 HH Sheikh Hamdan bin Rashid Al Maktoum, Deputy Ruler of Dubai, Minister of Finance and Patron of the Sheikh Hamdan Award for Medical Sciences, honored the 16 winners of this term of the Award at a ceremony held at the Dubai International Convention and Exhibition Center. The event was graced by the presence of several ministers, health and medical officials, dignitaries and official delegates representing the countries the winners represented. 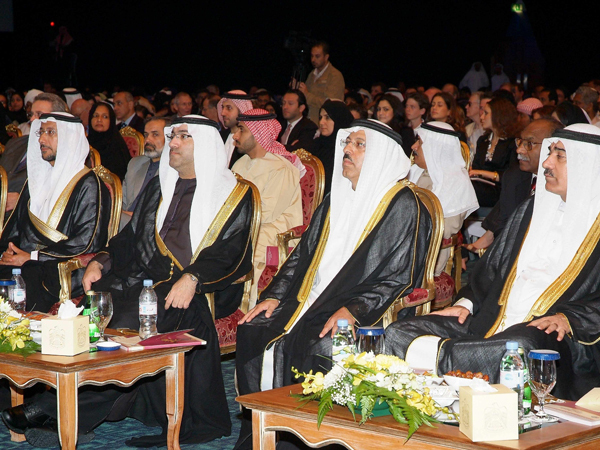 In conjunction with the Sheikh Hamdan Bin Rashid Al Maktoum Award for Medical Sciences ceremony honoring the winners of the 10th term (2017/2018), the Award organized a training program titled "Updates in Healthcare for Nurses". 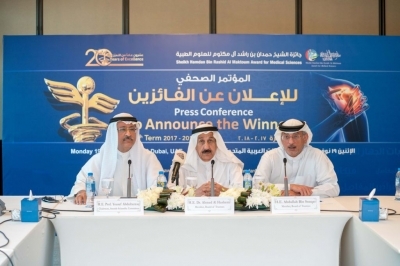 Sheikh Hamdan Bin Rashid Al Maktoum Award for Medical Sciences announced that the winners of the Grand Hamdan International Award and the Hamdan International Award for Medical Research Excellence will be among the 18 speakers at the 10th Dubai International Conference for Medical Sciences (DICMS). The winners are from the United Kingdom, France, USA, Egypt, Spain, Switzerland, Morocco, and KSA. 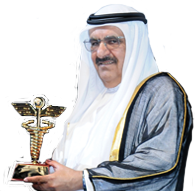 Sheikh Hamdan bin Rashid Al Maktoum Award for Medical Sciences has announced the names of 16 winners in its 10th term (2017-2018), which is centered on Musculoskeletal Disorders. 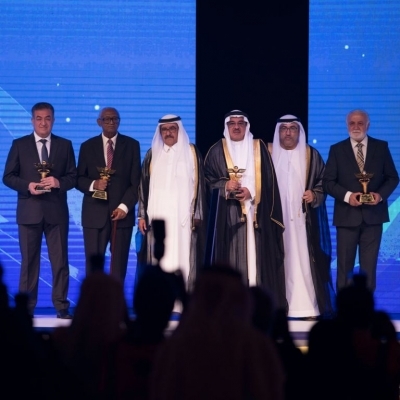 The awards, with a total value of AED 2.8 million, include 3 categories; the International awards, the Arab World Awards, and the UAE awards. H.H. Sheikh Hamdan bin Rashid Al Maktoum, Deputy Ruler of Dubai, UAE Minister of Finance, and the Patron of Hamdan Medical Award received H.E. 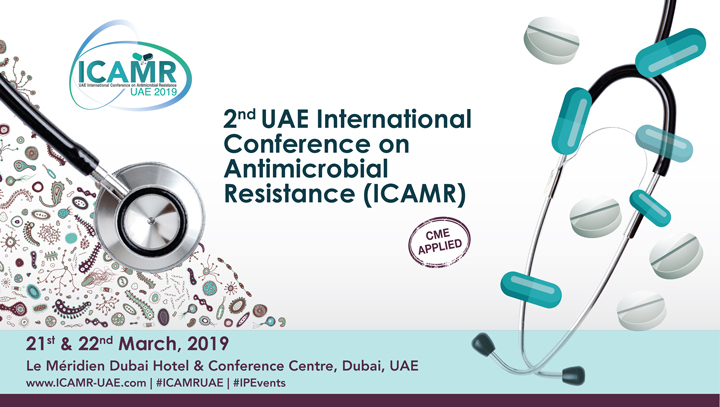 Abdul Rahman Al Owais, the UAE Minister of Health and Prevention and the Chairman of the Award’s Board of Trustees, and H.E. 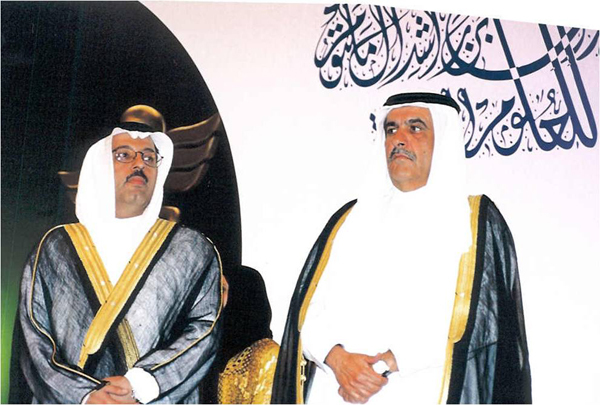 Dr. Ahmed S I Al Hashemi Member, Board of Trustees, H.E. 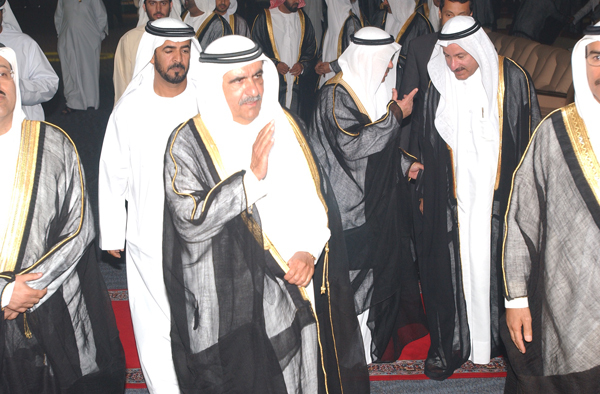 Butti Saeed Al Kindi, Member, Board of Trustees, and HE. 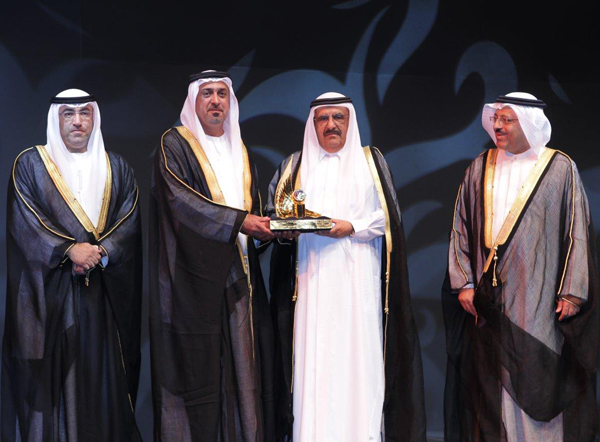 Abdullah Bin Souqat The executive mnager of the award. During the meeting, H.H. Sheikh Hamdan approved the names of 16 winners of the 10th term (2017-2018), which is mainly centered on Musculoskeletal Disorders. 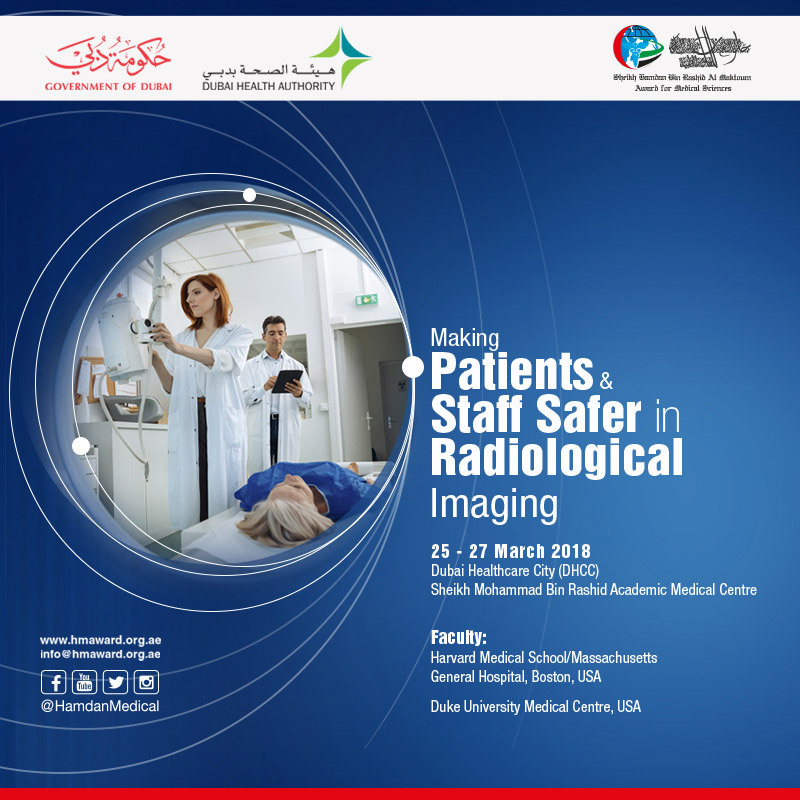 Sheikh Hamdan Bin Rashid Al Maktoum Award for Medical Sciences has announced that the 10th Dubai International Conference for Medical Sciences (10DICMS) is going to be organized and run from the 13th till the 14th of December at Roda Al Bustan Hotel, Dubai. Under the direction of Highness Sheikh Khalifa Bin Zayed Al Nahyan (President of the UAE), His Highness Sheikh Mohammed Bin Rashid Al Maktoum (Vice President and Prime Minister of the UAE and Ruler of Dubai), and His Highness Sheikh Mohammed Bin Zayed Al Nahyan (Crown Prince of Abu Dhabi and Deputy Supreme Commander of the UAE Armed Forces), a month’s basic salary has been granted to employees at government organizations on the occasion of the late Sheikh Zayed’s centenary. 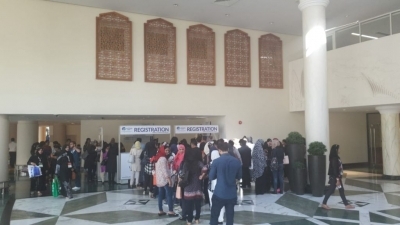 The Hamdan Medical Award has honoured winners of the research competition held at the 9th Student Scientific Conference at Ras Al Khaimah Medical and Health Sciences University (RAKMHSU). 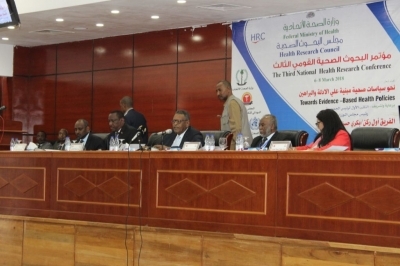 With a generous invitation from His Excellency Bahr Idriss Abuqadra, Minister of Health in Sudan, delegates from the Sheikh Hamdan Bin Rashid Al Maktoum Award for Medical Sciences attended the Third National Health Research Conference, which took place from the 6th to the 8th of this month in Khartoum, under the patronage of Bakri Hassan Saleh, Prime Minister and First Vice President of Sudan. 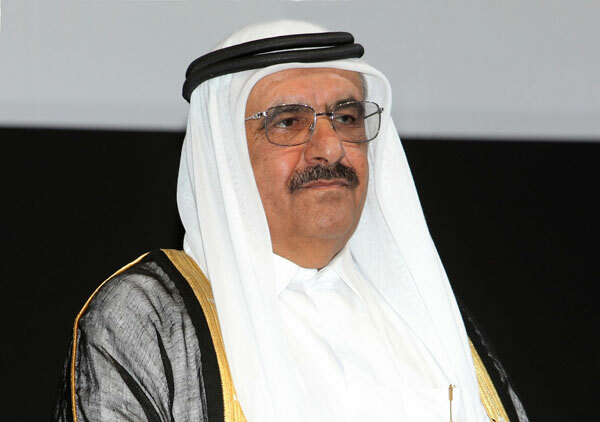 Sheikh Hamdan bin Rashid Al Maktoum Award for Medical Sciences is organizing the Rare disease day competition for public and private schools in the UAE for the third year in a row. The objectives of the competition are to raise students' awareness and promote their positive attitudes towards health challenges, particularly towards "Rare Diseases", to promote the principles of research and exploration and to develop the talents of students and encourage them to innovate and participate in competitions.